Why do they remind me of pythons? There can be no sillier words in the English language (to paraphrase President Reagan quite shamelessly) than the following: "Trust me, I am a politician". Do these people understand that their trustworthiness in most people's eyes is somewhere just below that of second-hand car salesmen? As for estate agents, these hard-working (especially now) boys and girls are paragons of virtue and truthfulness. Yet, as the boss has pointed out, that is the campaign favoured by at least one of the main political parties and, for all I know, the others will start saying the same soon. Trust in me ..... Surely the Boy-King recalls Disney's "Jungle Book" and the song Kaa, the python, sings to the mesmerized monkeys? It is a very frightening scene, despite, or because of, the inventiveness of the film. In the book the same scene is nightmarish. All of which reminds me that we have covered the notion of politicians and trust before. Here it is. Enjoy. Nothing has changed. Too many people seem to have a vested interest in talking up these panics beyond what the evidence can support, from scientists dependent on promoting scares for their funding to politicians who recklessly use scares to show their concern for our welfare. We in the media, it is only fair to add, are far from blameless in this respect. What this latest panic should be telling us, in short, is that we should learn to be much more careful not to talk up scares beyond what the evidence is there to support. Stick to the facts, keep everything in proportion and don't give way to speculations which, a year or two later, may make us look very silly indeed. Unfortunately, like buses, there's always another one behind. The next thing you know, they'll be telling us that the world is heating up and we've got to cut our carbon emissions. Once the scare dynamic takes hold, there is no limit to the stupidity to which people will succumb. By linking the final stage of our ignominious retreat from Iraq with a memorial service, honouring the British troops who were killed, the military and government both thereby achieve the effect of blunting criticism of the war. Any such criticism, especially of the military, can easily be dismissed as heartless or insensitive, given that so many have put themselves in harm's way and many have paid the ultimate price. Given also that this current government is in a terminal stage of decay, it is thus easier to focus attention on the political failures – of which there were many – staying any criticisms of the military, for fear of offending the sensibilities of those who knew or were related to the fallen. There is also a strong political element here as well. The manifest failures in Iraq serve as a useful stick to beat the current government and to enjoin the military as partners in a collective failure dilutes the attack on the politicians. It is thus tactically advantageous the position the military as innocent "victims" of political machinations, rather than clinically to apportion blame where it lies. The fact is though, however much it is spun, the counter-insurgency campaign in Iraq was a British failure and the responsibility for that failure lies both with the politicians and the military. Where exactly that dividing line lies has yet to be determined and it will be many years and take much study and argument before all the issues have been rehearsed and the final resolution reached – if ever. I have made an attempt at an analysis in my book, Ministry of Defeat, due out in June. In it, I readily acknowledge that, as a second draft of history, it will have flaws, but it is an honest and so far the only attempt to chart the complete history of the British occupation of Iraq. Of the coverage in the media today, the Evening Standard best cuts through the cant, with a comment piece headed "Our inglorious retreat from Iraq", noting that, even allowing for the professionalism of British forces, innumerable acts of courage on the part of individuals and high aspirations from their commanders, the reputation of the Army has been diminished, not enhanced, in southern Iraq. This supports a piece by Andrew Gilligan under the title: "The lessons of Basra are: do something properly or not at all". In this piece, however his focus is on the events of Basra, and thus lacks the historical context of the campaign as a whole, where the seeds of defeat were not sown in Iraq's second city but earlier in al Amarah. Thus does Gilligan aver that Basra was a historic humiliation for the British Army a shaming contrast to the behaviour of the Americans, who also suffered reverses in their sector of Iraq but reinforced, fought back strongly and eventually prevailed. In this blinkered fashion, he then argues "It wasn't the Army's fault: our soldiers are no cowards. It was the politicians in London who gave up, not the frustrated troops on the ground. Where there is, however, fault on the military side is in their current attempts, publicly at least, to deny the reality of the operation that ended today." Gilligan is wrong in one sense. It was the Army's fault – in part at least. 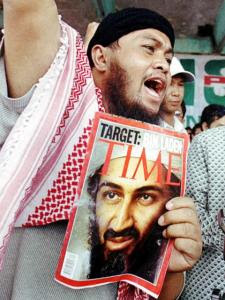 Although the politicians seen the framework for defeat, the situation up to mid-2006, with inspired leadership and more intelligence and flexibility than was shown, was recoverable. But where Gilligan is right is in pinpointing the attempts of the military to spin the operation as a success. 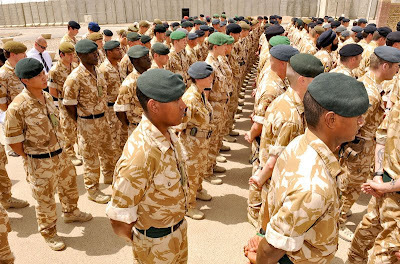 That denies the opportunity of conducting a frank, open and searching post mortem and thus limits the ability of the military to learn the lessons from its own mistakes – some of which it is currently repeating in Afghanistan. ...the lessons learned from (those) disasters can do more to advance engineering knowledge than all the successful structures in the world. Indeed, failures appear to be inevitable in the wake of prolonged success, which encourages lower margins of safety. Failure in turn leads to greater margins of safety and, hence, new periods of success. What applies to engineering applies to the military, as it does all other walks of life. The absence of information on failure leads, in the long run, to increased risk of failure. The risk of failure in the future is too high for us not to acknowledge and learn from the failures of our past. The story of this year's euro-elections could very well be the rise and rise of the BNP. But what also makes the elections fascinating is the behaviour of the media. On the one hand, we see the "right wing" press, with the possible exception of the Mail on Sunday largely ignoring the BNP issue. Most recent to do so was The Times, which managed to discuss the elections without making any reference whatsoever to the BNP. On the other, we see the left wingers making a meal of the "threat", with even Al Jazeera pitching in. 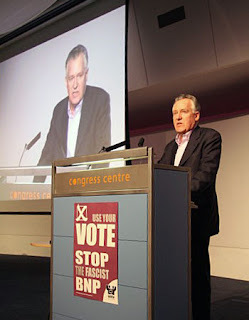 Latest into the fray is Peter Hain in The Guardian with an impassioned piece headed "We need to wake up and tackle BNP poison head on". This racist party, he writes, stands on the brink of electoral breakthrough, then demanding that, "We must fight them as we did the National Front in the 70s". His concern is that, should the BNP win MEP seats, it would secure an unprecedented platform and entitle the BNP to draw hundreds of thousands of euros from Brussels indirectly to buttress its full-time personnel and organisation. But this exposes another oddity of the euro-elections. Ostensibly, these election are about sending representatives to Brussels to represent us in "Europe" but, as could the Conservatives not offer us a positive reason for voting, neither it seems can Hain. Instead, the great europhile tells us that, to confront the BNP's threat, the priority must be grassroots campaigning. "Labour must win back trust by fielding candidates rooted in their communities and pledged to deliver on local issues." That, when you think about it, is bizarre. Hain is actually suggesting that the euro-elections should be fought on local issues – i.e., not about any of the issues that might be raised in the EU parliament. In so doing he is in effect demonstrating the essential irrelevance of MEPs, unable as he is to offer a case as to why a Labour MEP would be unequivocally better than an BNP representative. Thus, we have the Tories telling us to vote for them, to send Gordon Brown a message, and Labour telling us to vote for them (or any of the main parties) to keep the BNP out. Of the Westminster "big three", we have yet to hear from the Lib-Dims but, from past experience, they too are likely to go for local issues, also leaving the EU out in the cold. This makes for a crazy election, with the main protagonists demanding votes for every and any reason other than actually appointing MEPs to do whatever job it is they are supposed to do. That, in itself, should tell you something about the EU parliament, but I suspect it is not the message the "colleagues" want to convey. So it is done. "What we are trying to do is combine the measures, militarily and civilian," says Gordon Brown in today's statement, something which gets close to joined-up government, even if it is many thousands of miles away. 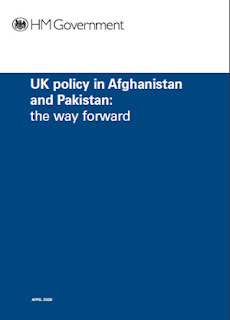 With Nick Clegg reminding the House that, "Public support for the conflict is under strain", the statement trailed the publication of the document "UK policy in Afghanistan and Pakistan: the way forward", setting out the clearest statement yet of where we stand in this troubled corner of the world. 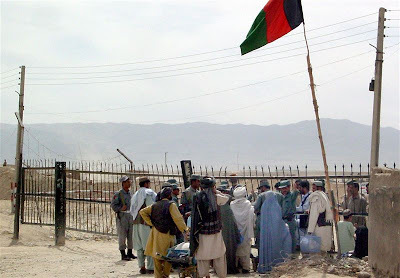 The security situation in Afghanistan remains serious, particularly in the south and east. Insurgents are unable to defeat international forces directly, or Afghan forces where they have international support. But the insurgents' switch to asymmetric attacks (against which international and Afghan forces can only provide the population with a certain degree of protection); their access to havens across the border in Pakistan; and the combination of poverty, lack of good governance, weak rule of law, lack of progress on reconciliation and social and economic development, and perception of widespread corruption, mean that the insurgency has not been delivered a decisive blow. The local population therefore lacks sufficient confidence actively to back the legitimate government against the insurgency. Without an improvement in security, particularly in the south and east, sustainable progress in Afghanistan will remain difficult; and what progress there has been so far will be put at risk – as will wider regional stability, and our own national security. We will support the Afghan government by investing in stronger markets that will promote an entrepreneurial business culture. To assist the vast majority of Afghans who live in rural areas, we will increase our support to agriculture and rural development, including transport to market, and support for access to international markets for agricultural exports. In particular, Helmand province, with its abundant natural resources, has the potential to be a centre of agricultural production and growth for Afghanistan. To help realise this potential, we will invest £68m over the next four years in agriculture, rural enterprise development and infrastructure. Current projects include: a major road-building programme linking Lashkar Gah to Garmsir, Nad-e-Ali and Gereshk; the refurbishment of the Gereshk hydropower plant (as part of a wider programme to double electricity production in 2009-10); and agri-business infrastructure in Lashkar Gah (funded by the US). We will also continue to support the Afghan government to deliver basic services, such as health and education, by providing direct support to pay the salaries of teachers and other key workers. In parallel, we will build the government's capacity to collect taxes so that, over the longer term, it can begin to reduce its reliance on international support. The first sentence is interesting. For too long, there has been money spent on rapid impact projects, building schools for the photo-opportunities they afford, only for them to remain unused or not fully exploited because the communities cannot afford to pay teachers and central government is unable to come up with the cash. As to the last sentence, this is possibly the most important issue of all. As long as Karzai gains most of his income from international aid, his greatest concern will be keeping his foreign paymasters on-side. The welfare of his people is of secondary concern. Thus, if Afghanistan is to develop, there must be a transition from external dependence, building up a strong tax base so that the central government becomes dependent on its own population. There is much to be said for the premise "no taxation without representation" but less is heard of the very obvious requirement that, for there to be representative government, there must be taxation. When people are taxed by government, they tend to take an interest in politics. Where there is no tax, there is no nation. Such issues are, in fact, those which are the focus of policy-makers behind the scenes. They are grown-up issues upon which resolution will depend on whether the visible military adventure is successful. That is where the work lies, and where we must see progress, and it where our attention should be focused. Boring though it is, one crucial metric of success is how many Afghanis fill in a tax return. That we see a strategy document addressing this is very much a start. That we are seeing recognised the vital role of agricultural development, and the road-building programme is also an improvement. We are further on than we were, and that is something. That leaves the strategy document to make a statement of the "bleedin' obvious". The challenges facing Afghanistan and Pakistan are substantial and complex, it says. "They require a multi-stranded approach, covering security, building more effective and accountable governance, and promoting development in an often insecure environment." Pace Nick Clegg and his observation that, "Public support for the conflict is under strain", what is also required is a better understanding by our own public of the issues involved, the priorities and the nature of progress. On this we cannot expect any guidance from our kiddies korner media, or from our gifted MoD. But, for the grown-ups, the strategy document is directly accessible. The beauty of the internet is that we no longer have to rely on spoon-feeding from the media. We can read things for ourselves and make up our own minds. If we do not, we only have ourselves to blame. Afghanistan is not Iraq – and Gordon Brown is not Tony Blair. There was undoubtedly a concerted attempt to keep the Iraqi insurgency out of the news in the run-up to the elections, first in 2004 and then again in 2005 – a classic example of news management – but, despite our charges to the contrary, that does not appear to be the case with Afghanistan. At a time when the whole issue of the Afghani conflict - and the spill-over into Pakistan – is especially sensitive (or would be if the kiddies korner media could lift its horizons above the prattle), the prime minister is today to make a statement on what is termed the AF/PAK strategy. This will come after the entertainment break – aka PMQs, which will occupy the commentariat no end – following which the strategy document, produced by the Cabinet Officer rather than the MoD, will be published. On financial grounds alone, it will be of some importance. The cost of UK military operations in Afghanistan increased from £750m in 2006-07, to £1.5bn in 2007-08, and to £2.6bn in 2008-09. At the same time, development and stabilisation spending increased from £154m in 2006-07, to £166m in 2007-08, and to £207m in 2008-09. In times of financial stringency, when public expenditure cuts are inevitable, it becomes even more important to determine whether our money is being well spent. With the massive escalation of costs in the military adventure – for what appears to be very little result – we need to know why annual spending has gone up from £1.5bn to £2.6bn in the space of one year. We will follow the statement after PMQs and then post a detailed analysis as soon as we can, but this leaves questions hanging as to the conduct of the public information campaign so far. If we are getting open disclosure and discussion at the top level, but nothing coming up from the bottom, that seems to point to a blockage somewhere in between. Here, the finger points to the MoD, where its anally retentive news management policy seems to be soaring to new heights (if that is the correct expression). One can nevertheless understand the MoD's reticence to open the books. Used to demanding – and getting – a blank cheque to fund its unique brand of incompetence, fuelled by a breathtaking arrogance that has to be experienced to be believed, it must come as a rude shock that anyone has had the temerity to produce so bold a thing as a strategy – much less publish it so that the great unwashed can read it. We await the statement with interest. One cannot be sure whether it is The Times or little Willie but someone here is fanatical about recycling. We read what at first sight looks new. 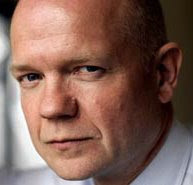 William Hague, we are told, yesterday became the first member of the Tory leadership to predict a Conservative victory next year and said that his party was psychologically prepared for government. Then we are told that the man named by David Cameron as his "deputy in all but name" went farther than before in suggesting that a Tory government would kill the Lisbon treaty and halt the latest process of European integration. He promised, says The Times "immediate legislation for a referendum to reject the treaty if it had not been ratified by the whole of the EU by the time that the Conservatives took power." And then we get the punch line: "He left open the door to the possibility of the Tories promising a referendum in their election manifesto even if the treaty had been ratified by then." In other words, nothing is different. Nothing has changed. One seriously wonders why this was published, or have we missed something? First it was Conservative MP Peter Bone, who informed the organization that he is a supporter but does not want to be a member. His name, therefore, did not appear in the list we put up before. Now comes news of another supporter-but-not-member. This time it is a member of the Upper House, Lord Maginnis of Drumglass, formerly the UUP MP Kenneth Maginnis. All we are doing is recording these events. We couldn't possibly comment. 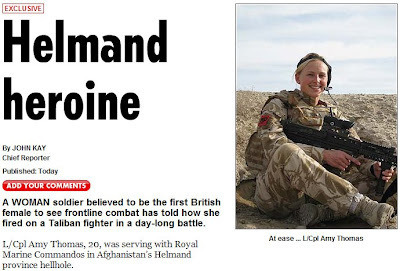 In the train wreck that constitutes the British media, the story of the day from Afghanistan is how "girlie girl" L/Cpl Amy Thomas, 20, serving with Royal Marine Commandos in Afghanistan's "Helmand province hellhole", loosed off a burst of shots with her SA80 rifle "after being flown into a notorious hotspot with comrades." Although this must be of some antiquity – the Royal Marines have already returned home – this is recounted in loving detail by The Sun, under the by-line of super-hack John Kay, no less, billed proudly as an "exclusive". This is investigative reporting at its best, brought to us hot off the MoD's "feel-good files", The Sun's reward for being good boys, getting the nod and the wink from the MoD before their rivals get a taste of the story. But so good is a "girlie with a gun" story that it was not long before The Daily Mail got in on the act, followed by The Daily Telegraph. They have both cribbed the story from The Sun in what passes for serious journalism these days - the motto being "where the Sun leads, we follow". Meanwhile, back in the real war – entirely unreported by the kiddies korner media - we have another report of the Taleban deploying an anti-aircraft gun in the Lashkar Gah area. This is the third such incident, the first two reported last week when they were taken out by A-10s and a precision air-strike. This time, the gun was a ZPU-2 (the twin-barrelled version of the guns previously reported). It was being towed by a tractor and was taken out by a US Air Force MQ-9 Reaper, which fired Hellfire missiles. Both the tractor and the gun were destroyed. 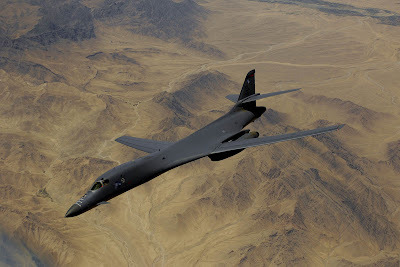 Later, a US Air Force B-1B Lancer bomber flew several shows of force and expended flares to prevent an enemy force from assembling for attack near "a coalition forward base." That is a British base and Lashkar Gah is in the heart of the so-called "security triangle" where, according to the MoD troll infesting the Booker column comments, ISAF has been "able to deliver sufficient security to enable the delivery of reconstruction and development aid by civilian agencies." These incidents, however, only happened on Sunday. Yesterday, we saw a similar story, when US Navy Hornets and Super Hornets employed GBU-12s and strafes to hit enemy gunmen shooting from fighting positions in compounds and a tree line. These strikes, we are told, caused the enemy personnel to stop firing on coalition personnel. An additional F/A-18E performed a show of force over an enemy compound during the engagement to suppress enemy fire. Not only was this happening right at the heart of the supposedly ISAF-controlled territory, that day some 80 close-air-support missions were flown in support of ISAF and Afghan security forces, reconstruction activities and route patrols. That is currently about twice the rate strike missions are being flown compared with last year and, if such activity is a useful metric of enemy activity, then clearly the operational tempo is increasing. Nothing of this, of course, is allowed to trouble the minds of the "kiddies korner" media. Readers will recall that, even as the last two anti-aircraft guns were being taken out, we were being regaled with the derring-do of Colour Sergeant Michael Saunders, Platoon Quartermaster Sergeant for the Combat Infantry Signals Platoon. He had been writing his war stories from the safety of his signals cabin in Camp Tombstone and had become "the talk of his local town" after he had started sending regular letters back to his local pub describing daily life on the "front line". Entertaining though such stories are, the inability of the British media to offer anything approaching hard news is turning the fourth estate into a parody of itself. 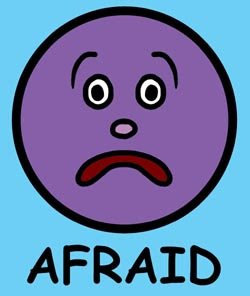 Next topic on the agenda, dare we predict, is The Sun reporting how one of our "Brave Boys" farted in the showers in Camp Bastion – another "exclusive" by the fearless Tom Newton Dunn – while the Chinese News Agency reports the real news. A useful paper has been produced by Leonard Weinstein, headed: "Disproving Anthropogenic Global Warming (AGW)". Dr Weinstein worked 35 years at the NASA Langley Research Centre, finishing his career there as a Senior Research Scientist. He is currently a Senior Research Fellow at the National Institute of Aerospace and is now a critic of the anthropogenic theory of global warming. His analysis argues that man has contributed less than 0.3C of warming and by the year 2100 may contribute less than 0.4C additional warming. This is much less than what the United Nations IPCC has predicted and of course a small fraction of what alarmists such as Al Gore and James Hansen have predicted. The one-line conclusion of his paper is straightforward and direct: "Any reasonable scientific analysis must conclude the basic [AGW] theory wrong." And that is the truth of it, no matter how much the warmists squirm. The problem we have, as observed many times on this blog and in the forum, is that the warmist creed has nothing to do with science. It is a belief system, bolstered by opportunist and ignorant politicians and those with political agendas which are advanced by the opportunities afforded by climate alarmism. To that extent, climate alarmism presents a far greater threat to our society and well-being than international terrorism. The enemy is in our midst, it has infiltrated the portals of government and the minds of our feeble politicians. So invasive has it become that we even get the Conservative MEP group proudly proclaiming – as a reason why we should give them our votes: "Conservative MEPs played a key role in securing agreement in the EU on new legislation to cut carbon emissions and to promote more use of renewable energy." That is the measure of the beast. The "honest" terrorists make no secret of their loathing for democratic western society and openly seek its destruction. The warmists (some of them) wear suits and ask for our votes. But they have the same agenda. We should treat them with the same disdain. Hence, we get that certain air of unreality that so often pervades EU politics, encapsulated in the new slogan picked by the Conservative Party for this particular round of elections. "Tell Labour you want the referendum they promised. Vote Conservative on 4th June," it runs, complete with the graphic shown above. Tory Home makes a meal of it, The Times does a dutiful piece and The Daily Telegraph puts in a show, but none remark on the central incongruity of the campaign. Looking at it dispassionately (if one can actually do that), what we have is the main opposition party asking the electorate to vote for it solely in order to send a message to the government. That, in itself has to be an innovation. We are not getting, "vote for us because …". The ballot box has been turned into a megaphone. The big problem for the electorate is that the Conservatives are directing the message in the wrong direction. After all, if the current raft of polls is to be believed, after the general election we will have a Conservative administration. Thus, the Conservatives could ask voters to send them a message, such as: "Tell the Conservatives you want the referendum you were promised…". Unfortunately, that promise is not on the Conservative table. As The Times remarks, Mr Cameron again refused to say whether the Conservatives would hold a referendum if they won the next election but the treaty had already been ratified by all the member states. He simply repeated the previous formula that "they would not let matters rest there". On this, we are then asked to trust the Tories. But what are we trusting them to do? To deliver something they have not promised, like a referendum? On the other hand, should they have made an unequivocal promise, there would be no difficulty is deciding where to place a vote. 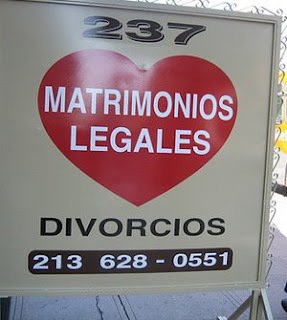 That the promise is not forthcoming invites suspicion. There are questions, but no answers. Presumably, the Conservatives are confident that they can rely on the groundswell of antipathy against Brown to carry the vote for them. Certainly, The Times is suggesting that, with the demise of UKIP some gains will be made, upping the 26.7 percent received in 2004 by at least seven points. Missing entirely from this analysis, however, is any mention of the BNP. And with this party gaining ground, the Conservatives may have made a tactical error. By framing the election as a mechanism for sending messages, the electorate may take the Conservative lead and use its votes for precisely that purpose. The danger – for the Conservatives – is that the message it sends might be altogether different. How often have we heard this from many people who believe that the European Union could do with a bit of reforming but is, otherwise, a jolly spiffing idea? Well, maybe not exactly spiffing but not really all that bad, if only we could get some of those powers back. Because, of course, our own politicians and civil servants will always make the right decision, the sensible choice, and go along the correct path. One of those powers that will be so much more sensibly handled by national governments and officials, we are frequently told, is foreign aid. Let us have a look at one small aspect of foreign aid, which is apparently, under British control. We are speaking of aid going to Gaza and the West Bank, which is now officially known as Occupied Palestinian Territories. To ask Her Majesty's Government further to the Written Statement by Lord Tunnicliffe on 17 March, what conditions are attached to the grant of £50 million for reconstruction in Gaza; what conditions are attached to planned development and aid expenditure in 2009-10 in the occupied West Bank; and to what extent the government of Israel is affected by any conditions. Even though his lordship seems more interested in conditions placed on the government of Israel than in the amount of aid money that had been siphoned off by both Hamas and Fatah, this is a reasonable question. Was the reply reassuring? Well, no, not exactly. As far as Gaza is concerned, there are no conditions attached to the aid at all but we shall, of course, make sure that all the money goes to the people it is intended to. We do seem to have heard that before, for instance here. What of the situation in the West Bank? What is happening with the aid money there? With regards to our planned expenditure in the West Bank, at the Paris pledging conference in December 2007 the UK committed up to £243 million over three years to the Occupied Palestinian Territories. Provision of this funding is linked to tangible progress in peace negotiations, including progress on reform of the Palestinian Authority, and the easing of movement and access restrictions by the Israeli Government. The Israeli government has always said that "the easing of movement and access restrictions" is conditional on there not being any movement of suicide/homicide bombers and there has never been a proper undertaking on that from any Palestinian organization. As for that tangible progress in anything at all, especially reform of the Palestinian Authority and some kind of accountability over the money that is pumped into the area, there has been no sign of anything, tangible or otherwise. So, will the money go there anyway? I suspect I know the answer to that. "Before we succumb to the oracles of doom, we should formulate a new scientific law: small fluctuations in scientific data produce disproportionate panic in the populace. Climate scares have become like health scares: there is a new one almost every week, and they get less persuasive as they multiply." So writes Felipe Fernandez-Armesto, in the Independent on Sunday of all places, speculating about the quiet sun and the prospects of the world suffering from a cool spell. He is absolutely right to propose such a scientific law, although there is hardly anything new in it. The dynamics of scares - or "moral panics" as the sociologists prefer to call them – are well understood. Fernandez-Armesto, however, believes the current cooling trend will "probably be a short lurch", as opposed to the warming which, in accordance with the warmist orthodoxy "is the long-term trend." One can only hope he is right for, as we have observed on many occasions, the impact of even slight cooling on world agricultural production is likely to be extremely serious - in a system which has little in-built flexibility. Quite how close to the edge we really are comes with little-noticed reports from Pakistan, which are warning of an imminent wheat crisis. Already, prices of wheat flour and its products are soaring and the Pakistani government is being forced to increase imports to meet the shortage. Of even more concern is another report which points to greater turmoil to come. 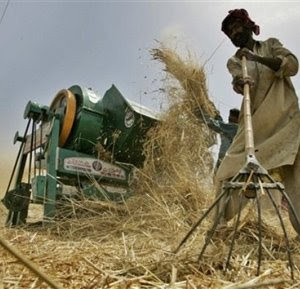 This predicts that the GDP growth rate of Pakistan is expected to decline further as the current wheat production target looks set to be missed by 6.8 percent. Initial estimates of wheat production show that only 23.3 million tons of wheat are expected from the current harvest as against the target of 25 million tons. This decline in production is in spite of the fact that the wheat sowing target was surpassed. The government had fixed the target at 8.610 million hectares, while wheat has been sown on 8.749 million hectares, an increase of 1.61 percent. This shortfall is expected to have a profound effect, driving down GDP growth to two percent - the lowest in the past 38 years of Pakistan's history. A great deal has been written recently of the political situation in Pakistan, the growing instability and the rise of the Taleban but, at the root of it all is this specific phenomenon. No country which neglects its agricultural base can ever prosper. In Pakistan, we hear of urgent need for structural changes in the economy and, in particular, of the need for land reforms, without which there can be no leap in agricultural productivity. But so bad has the situation become that yield per acre is not increasing in line with increased population. Since 2000, the per annum increase in wheat production has been a paltry 0.44 percent, against an approximate 2.3 percent population increase. Unsurprisingly, Pakistan ranks 61 out of 85 countries in the 2008 Global Hunger Index. Against the underlying problems in agriculture, Pakistan is one of the many countries which can least afford a further decline in production arising from cooler weather. If the current political instability can, in part, be attributed to lacklustre agricultural performance, then it provides an indication of how things might develop if cooling does set in for a prolonged period. This is a "climate scare" that we do not want to see turn into reality. In response to Booker's piece on Afghanistan yesterday, a number of commentators disagreed with his "take" on the situation. One, who called himself "Praetorian" even went so far as to argue that the situation in Helmand was largely under control. We have, in our own response, charted two years of "tangible, effective and sustainable reconstruction and development" in Now Zad, completed - according to "Praetorian" - "without major incident". The full details are posted on Defence of the Realm. Anybody who thinks that the dearth of hard news on British activity in Afghanistan is an accident knows nothing of the ways of the MoD. As we have already indicated, there is a quite deliberate policy emanating from Whitehall aimed at obscuring the strategic position. The clamp-down on information very much mirrors that which was imposed in Iraq, and for many of the same reasons. Not least, we have the euro-elections coming up and, after those, the general election. Mr Brown's Labour Party does not want the Afghani War to be an election issue – it is a certain vote-loser. Thus, the less said about the way the war is being prosecuted the better. Speaking at the Tories' Spring Conference in Cheltenham, William Hague, the part-time Shadow Foreign Secretary and full time after-dinner speaker, has attacked the Labour Government for not giving the people a referendum on the Constitutional Lisbon Treaty. Arguing that the Euro-elections will be "a campaign about trust", Mr Hague will say: "It is the saddest of all truths about this Government that faced with disillusionment with politics they have only added to it, faced with mistrust they have only justified it, and beset with cynicism they have opted only to exhibit it. "They have not only devalued the currency of the nation, but their breaking of promises has been so brazen, and in the case of the referendum so inexcusable, that they have debased the coinage of politics itself. Their legacy will be to leave office with the word of government less believed than at any time in our lifetimes - another aspect of the scorched earth they will leave behind them, on which only a new government can plant the seeds of trust and belief afresh." I must say if I were planning the Conservative campaign I would refrain from putting trust at the heart of it but politicians and their strategists seem to suffer from a semi-permanent state of amnesia. One must admit there is a good rhythm to that speech. Hague is definitely the Tories' best speaker and one can quite see why he is in demand at various dinners and events. However, blathering about that referendum is all well and good but only up to a point. The deed is done and the instruments have been lodged in Rome. 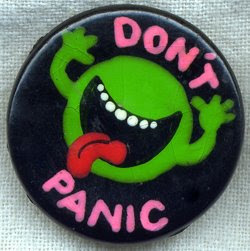 The Tories are hoping that the Irish vote no again and the Czechs, the Poles and the Germans, therefore, do not ratify. The Treaty remains in limbo and nothing much will have to be done about it by the Conservative government until another IGC is called after another bout of dialogue, undoubtedly initiated by the Fragrant Commissar for Propaganda. Yet, it is not impossible to imagine a different scenario with the Constitutional Lisbon Treaty done and dusted by next May when the the Labour Government, if things go as they do now, will most probably lose the election. We shall then have a Conservative government (at least in name) under a new constitution imposed on us by the Treaty for which the promised referendum had not been held. What will Cameron, Hague et al do then? The thing I like about Bruno Waterfield is that he is one of those rare journalists who writes with a sense of outrage - his current target being the mendacious MEPs who infest the EU parliament. What is particularly remarkable, however, is the contrast between this and the faux outrage of BBC reporter Mukul Devichand on the rise and rise of the BNP, and its prospects for getting one or more MEPs at the euros this June. What the BBC have not factored in, however, is that even if the BNP candidates were vermin of the most despicable kind, they would be hard put to it to compete with the present incumbents, or match the loathsome venality of the EU parliament itself. In a perverse way, if we took the BBC's view at face value (not that we are exactly known for doing that) we could argue that the more disgusting the BNP is, the more appropriate it would be to elect their candidates as MEPs. The party and the institution, one might hold, deserve each other. It would be a match made in hell. Certainly, since the common view of the BNP amongst the established political classes is one of contempt, there could be no better way of expressing contempt of the EU parliament – and those self-same political classes - than sending members of a "contemptible" party to fill the places. On that basis, if the established political classes are going successfully to take on the BNP – with the willing assistance of the BBC – then they are going to have to do more and better than sneer and denigrate their members. They are going to have to confront the issues raised by this party, tackle them head on and answer voters' concerns. But, since so many of those issues are lodged firmly in the "do not discuss" box, the establishment is hoist by its own petard. That leaves it with a failing and soon to be failed strategy, when the BNP romp home with the spoils, capitalising on the very thing that establishment is so freely offering – disapproval. 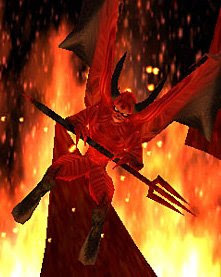 After all, if you are selecting people to go to hell, you tick the box marked "sinners". On Monday, we had a defence procurement debate in the House of Commons – an annual ritual which effectively discharges MPs' responsibility to scrutinise the MoD's multi-billion equipment budget. Although there were a couple of good speeches – and many which were excruciatingly bad – what struck many observers and some of the participants was the emptiness of it all. The debate dealt only with generalities - there was no focus and the result was pre-ordained. With no division and thus no vote, the only lasting effect was to fill a few more pages in Hansard. To underline the essential vacuity of the process as a mechanism for controlling and directing government defence expenditure, the day after the debate the government announced the purchase of 110 Jackal 2s and more than 70 Coyote Tactical Support Vehicles at a cost of £74 million. MPs were not asked their opinion and their approval was not sought for this highly controversial contract. 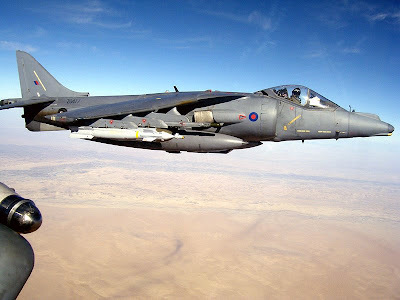 In a much bigger league altogether, yesterday the MoD announced a new contract worth £574 million to supply the repair and maintenance work for RAF and Royal Navy Harriers during the remainder of their service lives. This month we have also seen the £7 million contract for beach buggies to be sent to Afghanistan, a £90 million spend on a fleet of Wolfhounds, £120 million on Huskies, £155 million committed to a contract to "ensure the sustainability of future submarine support within the Royal Navy", and a mere £3 million for a state-of-the-art temperature controlled medical storage facility. With other kit, the cost of which is not specified, that brings this month's spending on defence procurement to well over £1 billion. But the really significant issue here is that, given the time lapse between ordering and delivery (whether goods or services), it is going to be the next government which actually pays the bills. Thus, while in the next parliament, we can assume that Mr Cameron will be struggling to cut public expenditure, in this parliament – with over a week to go before the end of the month – a Labour government has committed him to £1 billion in defence spending, in April alone. Arguably, this money would have to be spent, no matter what government was in power. But that is arguable. A case could be made, for instance, for scrapping the Harrier fleet and saving just over half-a-billion in costs just on the maintenance contract, to say nothing of the general running costs. That is not to say that the Harrier should be scrapped, simply that a case could be made and argued through, with a decision made to spend that huge amount of money in the light of the facts and with the issues fully rehearsed. Now just imagine that we had a system where, instead of the MoD blithely announcing multi-million pound contracts, it could only make proposals which then had to be debated in parliament and approved. Imagine also that the MPs were allowed free votes, so that each could make their points and then cast their votes according to how the case was argued. Imagine how that would transform parliament. With that idea firmly lodged in place, now extend it to the whole gamut of public expenditure. If the government wants to build a new hospital – fine. It would be debated but, only if approved by parliament, would the government get the approval to spend the money. Applied to all capital projects over a certain value (say £5 million), the spending programme could be transformed. Needless to say, the debates need not all be lengthy – some entirely uncontroversial decisions could be made "on the nod" and most could be delegated to committees, with only the really big money discussed on the floor of the House. The principle could, of course, have more interesting applications. Each year, we pay a huge amount to the EU as our membership fee. How entertaining it would be if the government had to justify each annual payment and get the specific approval of parliament – with the opportunity for MPs to say "no". Looking at parliament as a whole, not only would this reinvigorate the democratic process, it would also afford MPs a very clear justification for their salaries and expenses. After all, if the House had intervened to veto a major spending commitment and thereby saved us all a very great deal of money, who would begrudge them their pay? Inevitably, though, there is a downside. Pork barrel politics would grip parliament in much the same way it afflicts the US Congress. But then, we would have to have faith in the democratic process to restrain that. There is nothing like the bright light of public debate to expose the more murky corners of governance. Let there be debate, where there is currently none. Purely in order to make some sense of a discordant world, it is necessary to break up the news into bite-sized chunks. Then the information is categorised into different subject headings and finally, whatever happens to be topical is given the lion's share of attention. Since the budget is currently the hystèrie du jour, that inevitably gets by far the bulk of media coverage, and the full gaze of the commentariat. Tomorrow – or next week – will be different. The dogs bark and the caravan moves on. Real life, of course, is not like that. The daily grind of living, and making ends meet is not broken up into neat little compartments. It comes all at a rush, the end result being the things you would have liked to have bought but did not, mainly because the figures on the bank statement at the ends of the months have minus signs in front of them. In that context, while the commentariat are devoting huge amounts of time and energy to their attack on Brown's 50 percent income tax rate for "rich" earners, almost no attention has been given to a raid on our wallets of equal size, which will have a much wider impact on people generally. The problem here is the false distinction between "tax" – the money that the government takes out of our pockets directly - and government mandated extractions which are collected indirectly and/or are given different names and are collected by other means. That is distinction is artificial is self-evident. Whether it is called a tax or something else, or extracted directly or indirectly, it is still taken out of our pockets. It is still money we, as individuals, cannot spend. The "raid" we have just experienced is further obscured by the fact that it came in three separate parts, on two consecutive days. The first two came with the budget. One was an increase in the ROC to fund the building of useless and wildly expensive offshore wind turbines. The other, barely noticed was a rise in the standard rate of landfill tax by £8 per ton on 1 April, and an annual rise of the same amount each year until 2013. As a result, the tax will rise to £48 for each ton of waste sent to landfill from 1 April next year, climbing to £56 in 2011, £64 in 2012 and £72 in 2013. On top of that, buried in the small print is a decision to reverse a Court of Appeal ruling that allowed certain engineering materials to be exempt from the tax. This also allows the government to reclassify certain inert wastes that currently qualify for a lower tax rate of just £2.50 a ton so that they too will be charged the full rate. That move alone is equal to an additional £160 million a year taken out of the economy, into the chancellor's coffers, with the total receipts in the order of £1.5 billion. The third part of the "raid" we dealt with yesterday. This adds £4 billion or more to the costs of generating electricity which, like the ROC, will be recovered through our electricity bills. It says something of these imposts that, while the clatterers are very quick to tell us how much the 50 percent tax rate will cost, the figures on how much the government is extracting through these less direct means is extraordinarily difficult to find. Almost certainly, the combined effect is greater than the 50 percent tax rate. But, in the fullness of time, when the money is drained from our pockets, it will be so dressed up and disguised that the raid will not be noticed for what it is. Now, the essential point here is that, barring shades of differences on the detail, all three main parties support these extractions. This being the case, our structured impoverishment does not enter the domain of political debate. And, without a political lead, the commentariat – derivative as always – does not discuss it. Thus does the general public remain almost totally unaware of the fact that it is being ripped off. As the Wall Street Journal points out today, though, global-warming legislation drives up the cost of everything. If we had real, joined-up politics, such an obvious point would be the focus of a heated political debate. But, instead, we have narrow agendas discussed interminably, all neatly compartmentalised with most of the real issues parked in the "do not discuss" box. Thus, today and for the rest of the week, we discuss the "economy" – or that bit of it which the political claque chooses as its focus. For the rest of the year, we get poorer, without even really knowing why. Iceland goes to the polls tomorrow and, according to this Reuters piece, the caretaker government is likely to be brought back. 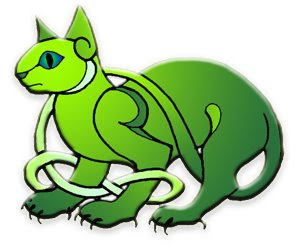 It is made up of the Social Democrats and the Left-Green Movement. It so happens that we do have some information about the situation in Iceland beyond what appears in the British media. According to our informant EU membership, discussed in the first few days after the financial collapse, is now a dead duck. After the collapse polls showed anything up to 2/3 in favour of the country joining the EU. Now the majority is against and the new (or old but now elected rather than caretaker) government will not be under any pressure to apply. It seems that there was a proposal to change the Icelandic constitution in order to make it easier for the country to apply for EU membership. This has been defeated by the opposition Independence Party. The Left-Green Movement is against EU membership but supported the constitution change, arguing that it would be more democratic. Well, they always argue that without bothering to provide a definition. The saga (pun intended) of Iceland and the EU is carefully monitored by Hjörtur J. Guðmundsson on his blog, EU News from Iceland. Worth watching. We shall be reporting. EU economic and monetary affairs commissioner Joaquin Almunia is telling us that the European economy is showing some positive signs that it is closer to a recovery than before. "Looking at some indicators in Europe," he says, "some of them are sending us some positive signals, (but) it is not yet evident that we will start a recovery tomorrow. We still have a lot of difficult tasks ahead of us, but some positive indicators are indeed welcome." Almunia adds that, "If we are not yet in a recovery, at least we are closer to the bottom, and closer to the beginning of the recovery than we were." Then you get Ambrose reporting that "a clutch of political and labour leaders in Germany have raised the spectre of civil unrest after the country's leading institutes forecast a 6 percent contraction of gross domestic product this year". This is a slump reminiscent of 1931 and bad enough to drive unemployment to 4.7 million by 2010. Thus does Michael Sommer, leader of the DGB trade union federation, call the latest wave of sackings a "declaration of war" against Germany's workers. "Social unrest can no longer be ruled out," he says. On top of that, we have Peter Jeggli, of Swiss risk advisers Independent Credit View. He warns that a "second wave" of debt stress is likely to hit the UK and Europe this year as the turmoil moves from mortgage securities to old-fashioned bank loans. He adds that the financial crisis was "front-loaded" in the Anglo-Saxon countries and Switzerland because their banks invested heavily in credit securities. As tradeable instruments, these suffered a cliff-edge fall when trouble began, forcing harsh write-downs under mark-to-market rules. It takes longer, we are told, for damage to surface with Europe's traditional bank loans, which buckle later in the cycle as defaults rise. The ferocity of Europe's recession leaves no doubt that losses will be huge this time. What to make of all this is anyone's guess. For all the doom and gloom – and perhaps false optimism – selective figures and dire warnings can be misleading. For instance, in March 2005, German unemployment rose to 12.6 percent, driving 5.2 million people out of work – and there was no significant civil unrest. In a world where everybody has an opinion and everyone is an expert, is it permissible to say that we don't have the first idea what is going on? Another article on the situation in Ireland, thanks, again, to Anthony Coughlan. Well, to be quite precise, it's a posting on the Financial Times blog by Tony Barber from Brussels. He seems a little frightened by the notion that "the Treaty of Lisbon is not the last word". Could the FT be seeing the light? The other link is to the alternative blog, For Your Freedom and Ours, where I describe something rather unusual in my life - a meeting addressed by our Conservative PPC, Shaun Bailey. There is a certain air of unreality in the pronouncements of this dying Labour government, viz the expected announcement from climate change minister Ed Miliband. 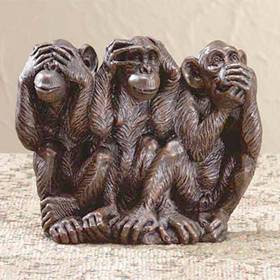 Despite the fact that little Eddie is not going to see the inside of a red box past June of next year, he clambered to his feet in the Commons today to declare that there was a "solution to the challenge" that coal presents in causing "dangerous climate change". That "solution" is, of course, carbon capture and storage – but not just yet. The little chap recognises that the technology "has never been tried on a commercial scale, and never as the complete process from start to finish on a power station", so he is deferring the day of judgement. Instead, there are to be four demonstration projects – at an unspecified cost, but estimated at £1 billion each – which are to be funded either from a feed-in tariff or by a fixed price for carbon abated. That means one of little Eddie's final gifts to the British people is yet another hike in electricity prices, on top of the hike in ROCs to pay for the offshore wind farms. 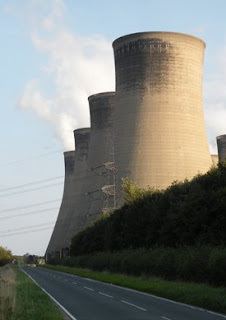 With that, the government is planning on the basis that CCS will be technically and economically proven by 2020 whence every coal-fired power station built from now would have to commit to retrofitting the technology on the whole plant - 100 percent - within five years of 2020. The scale of the costs that we could have to bear is indicated by research cited by Eddie, which suggests that "CCS and other carbon abatement technologies could sustain 50,000 jobs by 2030." That is 50,000 useless mouths, taking fertiliser out of flu gasses for no reason other than the paranoia of a bunch of warmists and some extremely dodgy science. Needless to say, this was not good enough for Tory spokesman Greg Clark. He wants all new coal-fired power stations to be developed with CCS technology and be required to achieve an overall emissions performance standard of no more than 500 kg of carbon dioxide per MWh "from the outset". Furthermore, he wants the construction to be funded out of receipts from the EU emissions trading scheme, money that Gordon has already spent. It only then took lib-dimmer Martin Horwood to agree that carbon capture was a jolly good idea, and then John Gummer to congratulate the secretary of state. It was trebles all round, as the chaps happily trotted of to their lunches. The only real dissent came off-stage from the Guardian's George Monbiot, who thought the whole statement was "cynical and meaningless". Just for once, we do hope he is right – not that we need worry about the final outcome. By 2020, we'll all be freezing, and wondering why previous governments poured £4 billion down the drain. We've got it all wrong on fishing strategy, says EU – at least that is the "take" of The Times. It tells us that the EU commission is admitting that Europe's fishing industry is on the brink of suicide and several species are in danger of extinction after 25 years of policy failure. Officials, we are then told, have admitted five key failings in the EU's Common Fisheries Policy as they prepared to tear up the idea of a centrally dictated strategy. They have launched the search for an alternative, saying that much of the responsibility for fishing must be returned to EU member states. This would seem to contradict one of my immutable laws of government - that stupid institutions can never admit their own stupidity. However, not is all quite as it seems – there is more than a little spinning going on. The EU Common Fisheries Policy has become streamlined and is now considerably cheaper and simpler to manage. Decision-making allows for specific technical decisions to be taken with closer involvement of fishers. Fishing operators are given incentives to behave responsibly but they are also expected to demonstrate that they comply with the basic principles of the CFP. Stakeholders fully participate in decisions and debates on policy implementation. 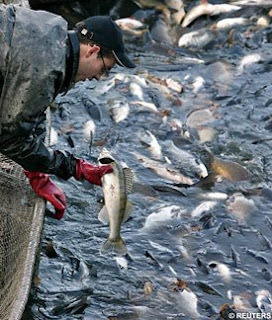 Fisheries control has become far more effective. The paper then goes on to offer a series of options, ostensibly for the better management of the Common Fisheries Policy, thereby ignoring the central and irredeemable defect of the policy – the very fact that it is a common policy. Furthermore, these are but proposals and there is a long way to go before any of them see the light of day – if at all. Nevertheless, it is at least something that, after 25 years, the EU is recognising that one of its longest established policies has failed. It has yet to understand, however, the reason for that failure. In the wake of that BBC poll that showed 55 per cent of this country's population would like to see us out of the European Union and in the midst of a huge financial crisis (made far worse by our own government as well as the EU, to be absolutely fair) Better Off Out is being relaunched as a cross-party group in both Houses. The website gives the full press release that had, actually, been postponed till today, as well as some other information about the group. The aim is to co-ordinate a parliamentary campaign of questions, both oral and written and, whenever possible, debates, thus raising political and public awareness of the EU and its dire influence on this country. Needless to say, this blog stands with the group and is ready to assist its work in every way possible. Come to think of it, we have been doing that for the last five years, anyway. Some of the names are well known in the fight, some not so much. Unsurprisingly, there are more peers than MPs. Even less surprisingly, among the MPs the Democratic Unionists predominate. So far as I can make out, there is one Labour MP, Austin Mitchell and five Conservatives: Douglas Carswell, Philip Davies, Philip Hollobone, Ann Winterton and Sir Nicholas Winterton. Whatever happened to the likes of John Redwood, he who must not be criticized? Just a quick scan of the "related articles" (left) tells its own story. On the one hand, we are breathlessly told on 18 April that the Antarctic ice sheet could collapse due to global warming. Then, four days later, we get Antarctic ice is growing. Forget reading the stories – read instead this analysis which charts some of the convoluted arguments ("squirming" would be a better description) as the warmists try to reconcile reality with the precepts of their religion. All this would be hilarious sport were it not for the fact that this institutionalised stupidity is embedded firmly in government policy to the extent that, yesterday a chancellor confronting the worst financial crisis in living memory – where the policy response screams for cutting public expenditure – decides to commit additional public expenditure to the moonshine that is global warming. It would be comforting to think that this fundamental stupidity was confined merely to embracing the dogma of "climate change" but it is not. The only constant in government, it seems, is its endless capacity to make stupid decisions and then, having made them, to repeat them again and again. The interesting thing (from an analytical point of view) is that the same dynamic pervades at all levels of government, across the board, irrespective of the subject matter. Thus, the crass stupidity of pumping money into massively expensive and highly inefficient offshore wind farms is in exactly the same league as buying inadequately protected military vehicles and then bolting on increasing amounts of armour in the vain hope of somehow making them better. In each case, the context may be different but what binds them together is the common factor – that degree of crass stupidity which to an outsider is so patently obvious that one is left staggered that sentient human beings could actually be engaged in such fatuous behaviour. So consistent is this dynamic that one is thus left to speculate that there must be a grand law of the universe that dictates that governments must behave in such a manner. In anything, the pattern is such that behaviour can only be characterised at two levels – NLOI and RBS. It would seem that the default value is very much NLOI - "normal level of incompetence". But the second law of the universe would seem to dictate that, as time progresses, governments naturally gravitate to the higher RBS level - "rank bloody stupidity". 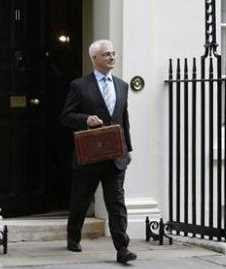 And, with yesterday's budget, we have arrived there with a vengeance. This would also seem to explain the dynamics of political change. As a government rises to the upper tiers of RBS, an opposition party afflicted merely by NLOI begins to look distinctly attractive and then increasingly electable. Thus does it assume office until, with the passage of time, it too develops an incurable case of RBS and has to be replaced. The development of these states could be regarded as all part of the "fog of government", although we are perhaps seeing some changes in the cycle, but only to the extent that the interval between NLOI and RBS seems to be shortening. Arguably, RBS is now becoming the default value and we are having to look to graduations in this state in order to discriminate between the different contenders for office. There are, however – rather unfortunately – two other driving laws of the universe. The first is that stupid people and institutions can never recognise their own stupidity. Secondly, both intensely resent being called stupid, and deny such a charge emphatically. This means that there can be no corrective mechanism within the ranks of government. All that brings us to the final immutable law of the universe. Eventually, we have to rise up and shoot them all, in order to restore the NLOI to its rightful place. Unfortunately, that happy state still seems to be somewhat distant which means that, for the time being, the stupid will inherit the earth … or, at least, the government. With over 3,000 budget-related pieces on Google News and doubtless more to come, it is hard to see how anything by way of useful comment can be added to the torrent. If you started reading now, you might just have caught up by the next budget. The key points, we are told, are a £7bn squeeze on the rich followed by a brutal freeze on public spending in the next parliament, setting up the government for the general election. But, while Darling offered a financial budget, he also delivered what is hailed as the world's first "carbon budget", committing the UK to a revised target of reducing greenhouse gas emissions to 34 percent of 1990 levels by 2020. This, of course, is hubris personified as the man won't be around a chancellor after the election in 2010, and there will have been a least two more elections by the time a further ten years have elapsed. By then, also, the likelihood is that the already apparent cooling trend will be well established and the "climate change" scam will be history, buried in winter snows and power and food shortages. Darling's projections for his carbon budget, therefore, are likely to be about as accurate as his general financial forecasts, but that has not stopped him announcing a £1.4bn package of measures to help create low-carbon economy. What he is actually doing is creating a low-money economy so it is some small consolation that climate change campaigners are complaining that the package is "inadequate", but then that would be their refrain even if we committed 100 percent of GDP to their obsession. Adrian Wilkes, chief executive of the Environmental Industries Commission, thinks the package is "timid and inadequate" while Friends of the Earth's director Andy Atkins whines that, "The government has squandered a historic opportunity to kick-start a green industrial revolution and slash UK carbon dioxide emissions." As to the bones of this fantasy, he has allocated £375m for home energy efficiency, and £525m "support" for offshore wind power. On top of that, Darling is spending £405m of our money to develop low-carbon technologies. The actual amount to come out of the tax fund is about £510m over the next two years - 9.6 percent of the chancellor's total spending commitments. Much of the rest comes from a temporary increase in the Renewables Obligation Certificates, which we will have to find out of increased electricity bills. There is also to be available £4bn in new loans from the European Investment Bank, aimed at helping "green" schemes overcome a critical lack of commercial money, with banks reluctant to commit money to these increasingly mad schemes. The worst is not over though. Today we are to expect an announcement on carbon capture and storage (CCS) plants. These are probably to be funded by money from the EU and an unspecified "new mechanism", likely to end up as a levy on consumer bills. Soon, when you can get it at all, electricity will become a luxury reserved for Sundays and bank holidays. Unfortunately, according to North Jnr who watched the parliamentary debate after the budget, there is no immediate (or any) relief to hand. And despite there being an opportunity to ditch at least 9.6 percent of the public spending commitment, without anyone noticing, no such suggestion was forthcoming. We carry on regardless, as madness continues to afflict our benighted land. The Army, with the willing assistance of the MoD, seems to be intent on killing its own troops … again. The so-called "reforms" of MPs' expenses are wrong on so many grounds that it is difficult to know where to start. In the first instance, this should not be a matter for the government – aka the executive. Parliament, notionally, is sovereign in its own House. It is for Parliament to put its affairs in order and to abrogate that responsibility to the executive is nothing more than a recognition of its own weakness. And, if it cannot deal with such a matter, by what right does it claim to arbitrate on our affairs? Secondly, the idea of a single daily fee is as vacuous as it is dangerous. This is precisely the system adopted for the EU parliament – one which is wide open to abuse and has got MEPs into trouble. As importantly, it invites consistent sniping when it is lumped in with salary payments and taken as an indication of how much MPs earn. Expenses are expenses – if we want people to do a job then it is only fair we cover them. This system makes them look like they are part of the salary. Thirdly, this is a statist, centralist option – the classic, bureaucratic "one-size-fits all" system that will create its own absurdities, its own injustices and its own equalities. Trying to impose a single, fixed payment on a calling as diverse as an MP, when constituencies and their requirements are unique, is fundamentally flawed. Fourth and finally, it perpetuates the dislocation between MPs and their constituents. Being paid a fixed sum from central funds isolates the MPs from any accountability to the constituency and deprives any individual voter of any say in the matter. If the MPs accept this deal – and the likelihood is that they will – they will be signing the final death warrant of a failing institution. They will be seen even more for what they are – paid lackeys of the state, dipping their hands in the till for their daily fees, producing nothing of any value and despised by all. Now was the time for imagination and boldness. Its lack, and the craven willingness to take the easy option and allow a solution to be imposed upon them, tells its own story of our MPs. Those who are too afraid even to devise a credible system for their own expenses have no standing when it comes to telling us how we should run our lives. Anthony Coughlin of The National Platform that has been fighting the good fight in Ireland since long before Libertas was even a gleam in Declan Ganley's eye has sent me an article about Ireland that appeared in the New York Times. None of them seem all that impressed by the Celtic Tiger and its ability to go on thriving in the new economic situation. Paul Krugman, who has won the Nobel Prize for Economics (which is not really a Nobel Prize exactly but let that pass) and, therefore, is to be taken with a large dose of salt, thinks that Ireland has got into the mess it is in by opening itself to the great free market and the government is now making matters worse by "is being forced to raise taxes and slash government spending in the face of an economic slump — policies that will further deepen the slump". He is worried that America might go the same way. A somewhat different point of view comes from the Mises Institute. Under the delightful title of "The Celtic Kitten", John Engle explains that Ireland's problems stem largely from excessive government intervention. Mind you, I don't know where he gets the idea that it is something new. So far as I can make out the Irish government has always had controlling interest in "public transport, electricity generation and transmission, and broadcasting media (radio and television)". What of the EU subsidies that under-wrote a good deal of that much admired economic growth? What part did that play? 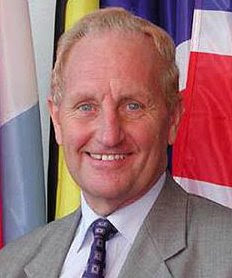 The EU parliament has heard a call for Den Dover, the disgraced MEP, to be treated in the same way as a social security fraudster over unjustified expense payments worth more than £500,000. The call came from Chris Davies, the Lib-Dem MEP, who has accused Dover of using allowances meant to cover staff costs "to buy cars and for personal gain". "If one of our constituents fraudulently claims welfare benefits they will be prosecuted and could go to prison. Sometimes things seem different here," said Davies. "Most people regard Dover as no better than a thief, a crook who should be in jail." It may be a trick of the memory, but I recall writing something rather similar yesterday. Certainly, the silence of the Conservative group, to say nothing of David Cameron, does not reflect well on the Conservative party. At the very least, they should be calling for Mr Dover's affairs to be subject to a very rigorous police investigation. And the big news is? They shoot greenies, don't they? Yup! Got it in one! What is the price of neglect?